• Extreme Volume: This new mascara provides extreme volume, from root to tip. The eyelashes look amplified fom corner to corner. Create colume in a few easy strokes. • Extreme Hold: The new formula lasts for up to 24 hours. • Extreme Intensity: The Noir Extrême shade offers an unprecedented intense black pigment. Lancôme unveils its new application technique that effortlessly creates perfectly open, full and long lashes. The “Swan-NeckTM” wand and high-precision brush can grab lashes close to the roots to beautifully fan them out, corner to corner. Creates an extreme volume & ultra intense longwear look from day to night. • Designed to apply a generous coat of mascara on the lashes. • Offers a more precise application. • Builds quick dramatic volume for easy layering. • Smudge resistant result for up to 24 hours. • Enhances the blackness and the visibility of the lashes for an irresistible look. "The “Swan-NeckTM” wand and high-precision brush enables an easy application technique. Position the brush at the root of the lashes. Work the lashes starting at the outer corner of the eye moving inward and extend through the lashes using a zigzag motion. 1. Outer corner & centre: hold wand with curve facing down to lift and wing-out the lashes. 2. Inner corner: hold wand with curve facing up to lift and extend the lashes. 3. Lower lashes: hold wand with the curve facing up to define the lashes. 4A. Outer corner & centre: hold wand with curve facing down to lift and wing-out the lashes. 5A. Inner corner: hold wand vertically to lift and extend the lashes. 6A. Lower lashes: hold wand with curve facing up to define the lashes. 4B. 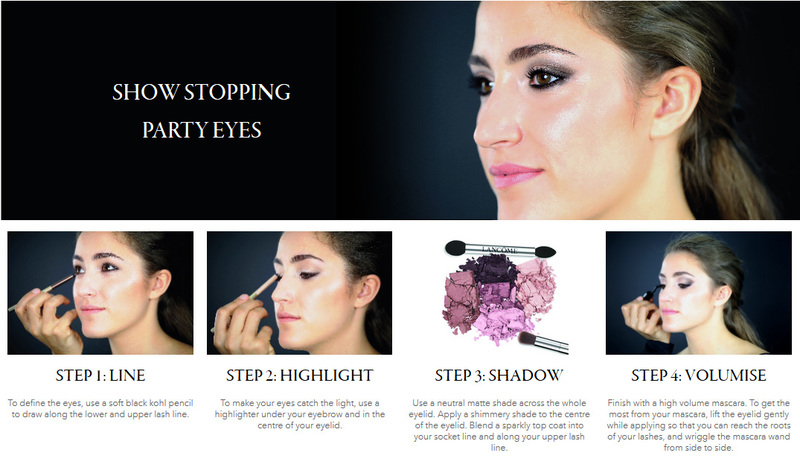 Outer corner: hold wand with curve facing down to lift and wing-out the lashes. 5B. Center & inner corner: hold wand with curve facing up to lift and extend the lashes. 6B. Lower lashes: hold wand with curve facing up to define the lashes. For a more expert technique, rotate your wrist according to the 3 sections of the eye (outer, centre and inner). AQUA / WATER ● PARAFFIN ● POTASSIUM CETYL PHOSPHATE ● COPERNICIA CERIFERA CERA / CARNAUBA WAX ● ETHYLENE/ACRYLIC ACID COPOLYMER ● STYRENE/ACRYLATES/AMMONIUM METHACRYLATE COPOLYMER ● CERA ALBA / BEESWAX ● SYNTHETIC BEESWAX ● BIS-DIGLYCERYL POLYACYLADIPATE-2 ● POLYBUTENE ● CETYL ALCOHOL ● DIVINYLDIMETHICONE/DIMETHICONE COPOLYMER ● STEARETH-20 ● GLYCERYL DIBEHENATE ● STEARETH-2 ● C12-13 PARETH-23 ● C12-13 PARETH-3 ● STEARYL ALCOHOL ● TRIBEHENIN ● ACACIA SENEGAL GUM ● GLYCERYL BEHENATE ● SODIUM LAURETH SULFATE ● MYRISTYL ALCOHOL ● DISODIUM EDTA ● HYDROGENATED JOJOBA OIL ● HYDROGENATED PALM OIL ● HYDROXYETHYLCELLULOSE ● CAPRYLYL GLYCOL ● TETRASODIUM EDTA ● ETHYLENEDIAMINE/STEARYL DIMER DILINOLEATE COPOLYMER ● BUTYLENE GLYCOL ● BHT ● PENTAERYTHRITYL TETRA-DI-T-BUTYL HYDROXYHYDROCINNAMATE ● POTASSIUM SORBATE ● SODIUM DEHYDROACETATE ● PHENOXYETHANOL ● PARFUM / FRAGRANCE ● [+/- MAY CONTAIN CI 77499 / IRON OXIDES ● ] * This ingredient list is subject to change, customers should refer to the product packaging for the most up-to-date ingredient list. The latest Lisa Eldridge with Lancôme tutorial to easily achieve the perfect wing eye look with the ultimate eyeliner Lancôme Grandiôse Liner.